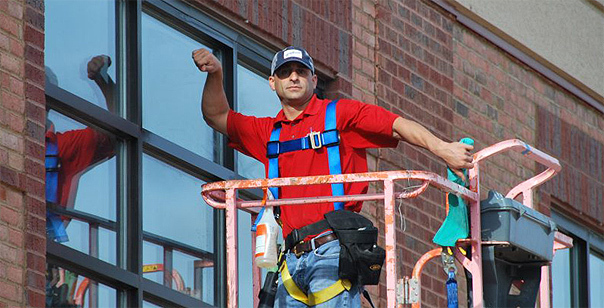 Squeegee Cleaning Services is a full-service, professional cleaning company providing professional window cleaning, power washing, construction clean-up and more to help Birmingham, Alabama companies and homes project its best image. Squeegee will hand wash and squeegee clean all interior and exterior window surfaces, as well as clean the window sills. Squeegee provides free written estimates. Service is available once, weekly, monthly, whatever schedule is best for the customer. Squeegee offers hard water stain cleaning. Squeegee is licensed and insured for your protection. Call 205-936-2570 today and speak with us about your cleaning needs. We will come to your busines and/or home and provide you with a free estimate.